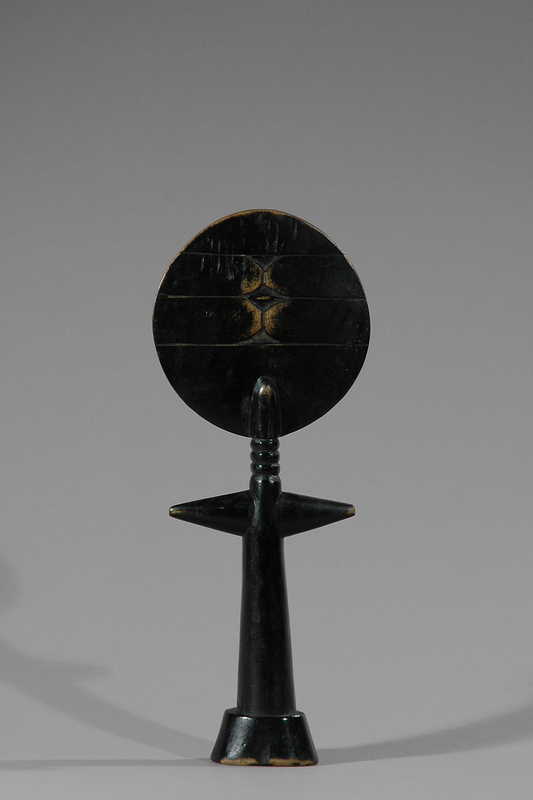 West Ghana is the home of the Ashanti tribe for whom the fertility doll is very important. 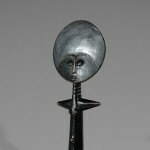 This fetish, the Ashanti figure is called an akuaba or akaba. 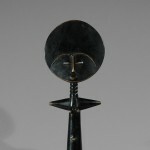 Made of polished wood, and stained black, the head is in the shape of a large flat disc. The forehead is high, the nose is flat and the mouth is small. 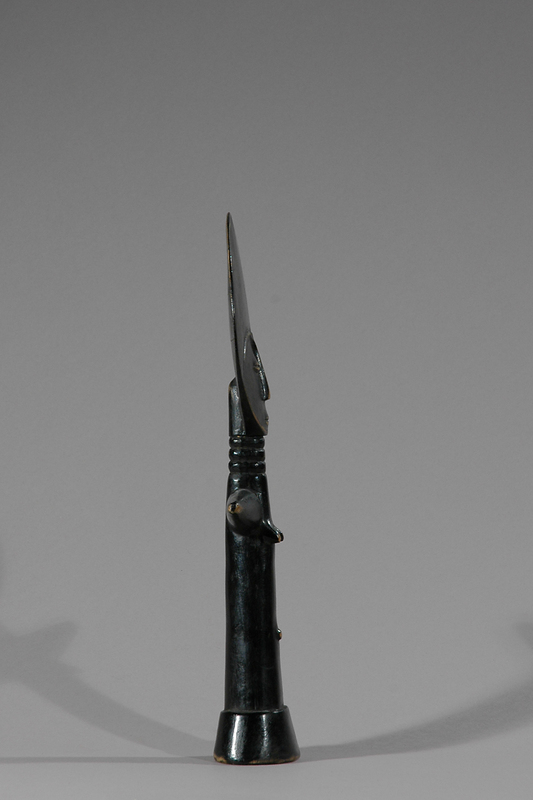 The head is held up by a slender neck, which appears to be composed of a series of rings. The body, neck and arms form the shape of a cross, the arms having no joints or hands. 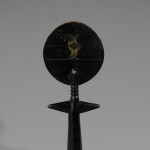 The base is circular, which allows the object to stand free. 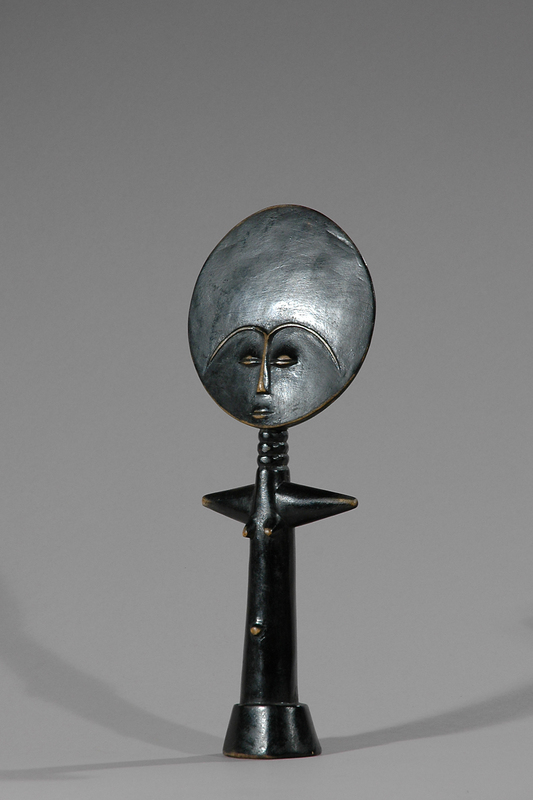 When we compare several akuaba figures, we notice that facial expressions and markings vary. Breasts are small, and some figures have a protruding navel. The egg or oval shape is therefore a shape of beauty for the Ashanti woman because of the fact that it represents a pregnant woman. 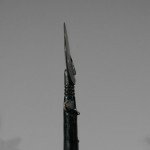 A rich woman will sometimes have precious stones or beads on the doll. 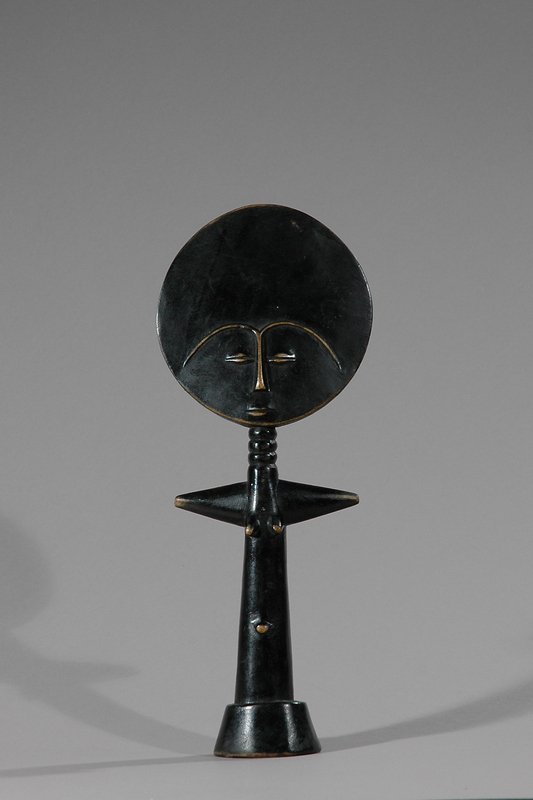 This stylized piece of sculpture tells us the importance of fertility and the child for Ashanti women who played an important role in insuring the continuance of the family line. A woman’s social position often depended upon the number and quality of her pregnancies. A man without a child would have no one to watch over his funeral rites to make sure that his spirit passed over into the spirit world. The doll is carried on the back of an expecting mother during her pregnancy so that her child will be born beautiful just like the doll. The style of the doll would depend on whether she hoped for a boy or a girl. In many of the tribes it was common for a woman wanting a child to carry with her a doll in order to enhance her fertility. This doll would be cared for as a baby, being bathed and carried on the mother’s back and little girls often learn how to take care of children by playing with akuaba dolls. 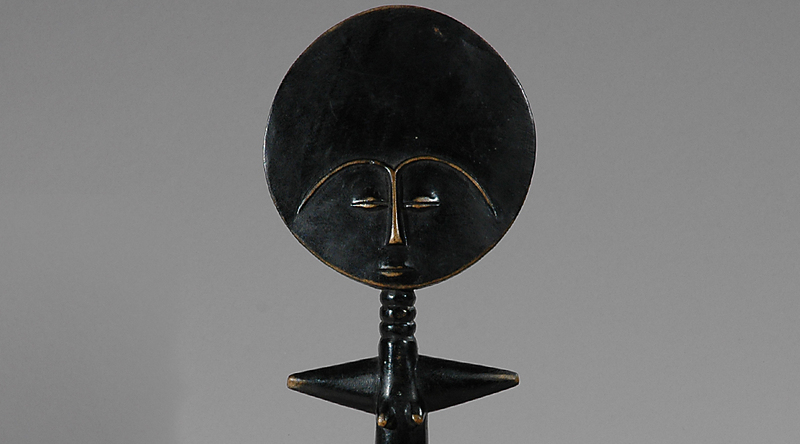 To the women of the Ashanti tribe, the akuaba is still a symbol of the woman and fertility and symbolizes life in this world.